At 8:30 A.M., despite our grogginess, the team loaded up in the bus and made way for the cities. 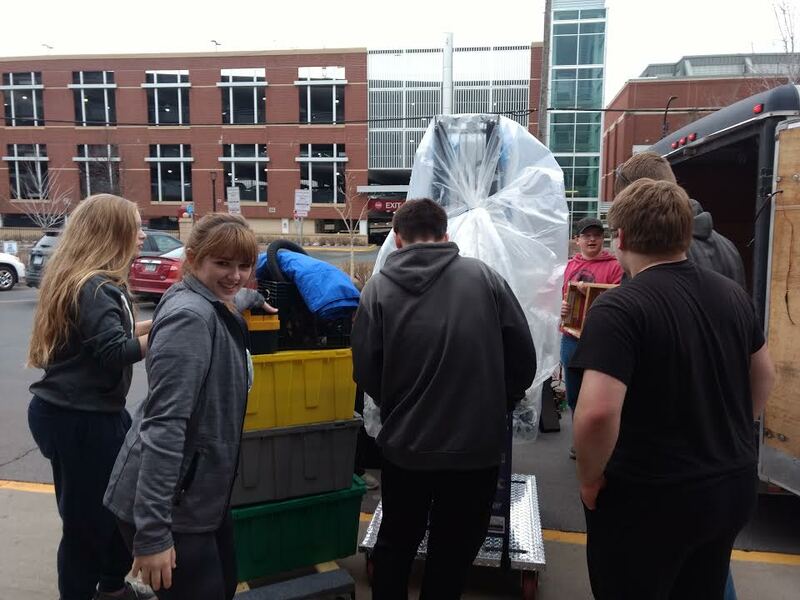 With several stops along the way, ranging from bathroom breaks to stopping for lunch, after six hours of driving we finally arrived at our destination at the La Quinta Inn in Bloomington and ate dinner. 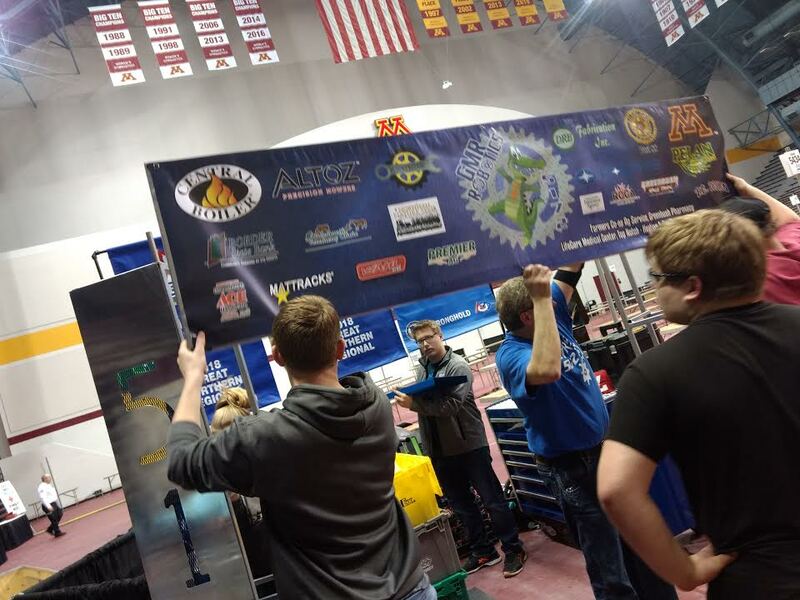 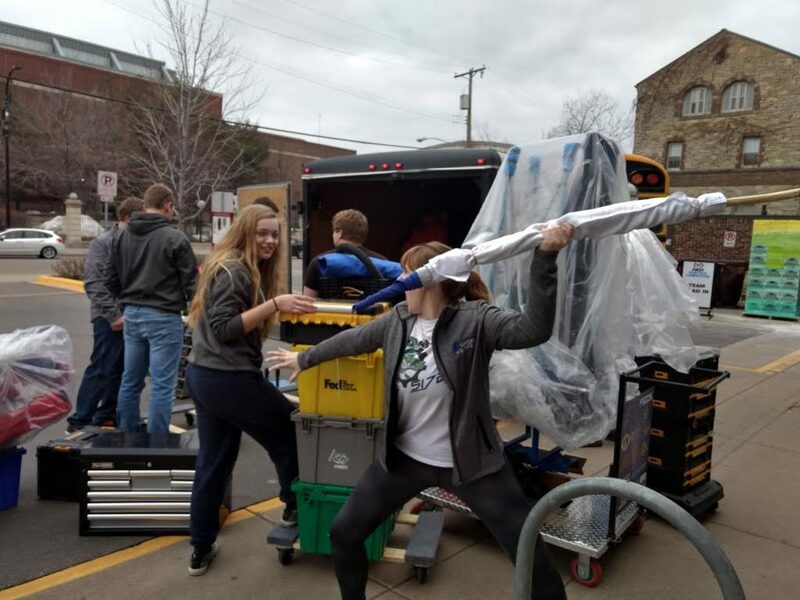 Several of our teammates hopped back onto the bus and drove to the Williams Arena to unload and set up our pit. 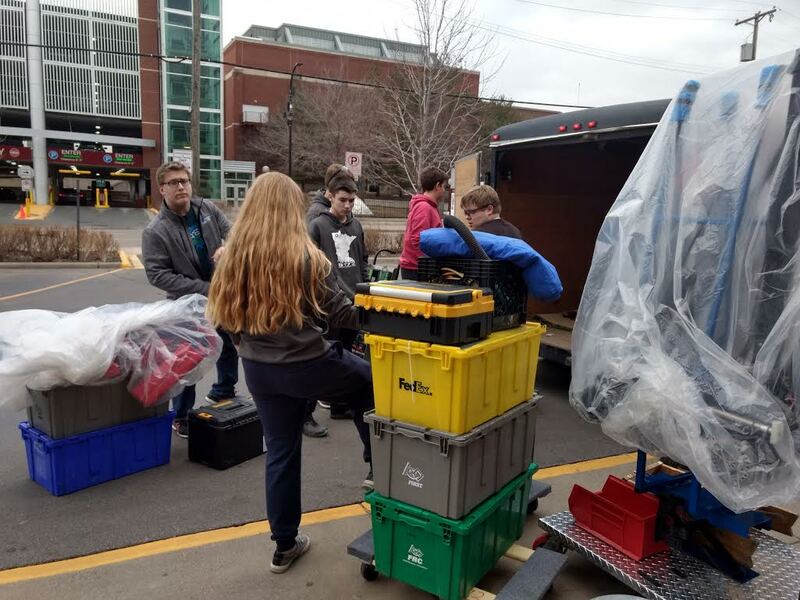 Since that was the main priority for the day, once it was completed we were given the rest of the night to relax and mentally prepare for tomorrow’s practice matches at the Medtronics Foundation Regional.